Ships today if you order in the next 14 hours 9 minutes. High stress levels seem to be a regular thing these days, and with them come sleep troubles. 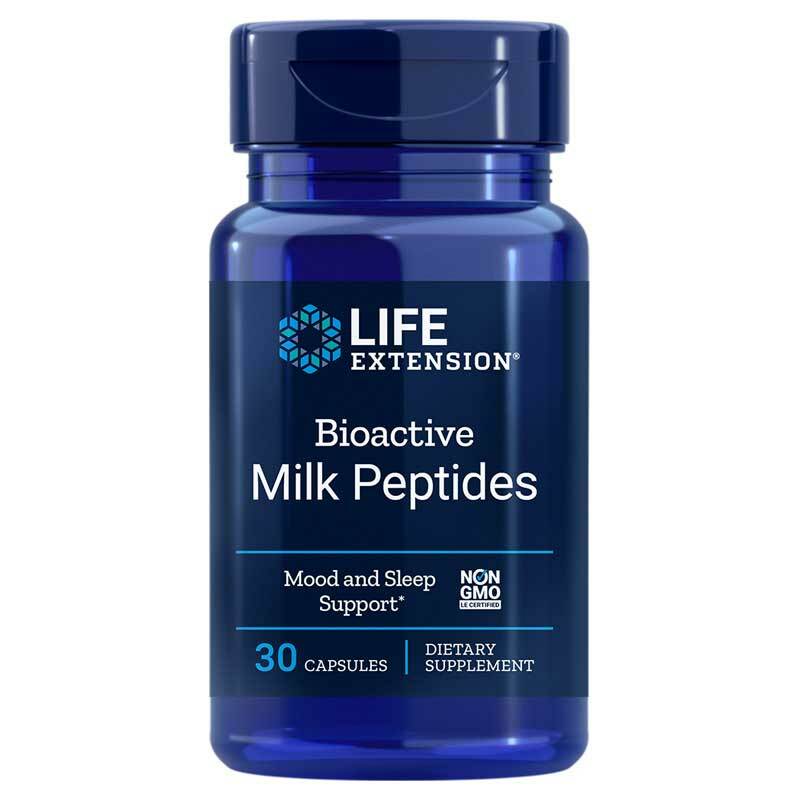 If you've been experiencing both and are looking for a natural way to find relief, Life Extension's Bioactive Milk Peptides may be just what you need. Sleep deprivation is a very real problem for many people and, if left alone, can lead to other health issues. Bioactive Milk Peptides help you maintain healthy sleep patterns so you can wake feeling refreshed and ready to take on the day. Just one easy-to-swallow capsule every day promotes optimal stress relief, relaxation, and improved sleep. Don't suffer from stress any longer. Start using Bioactive Milk Peptides from Life Extension today! Other Ingredients: microcrystalline cellulose, vegetable cellulose (capsule), silica, vegetable stearate. Contains milk (casein decapeptide). * Lactium is used under license. Adults: Take one capsule daily with or without food, or as recommended by a healthcare practitioner. 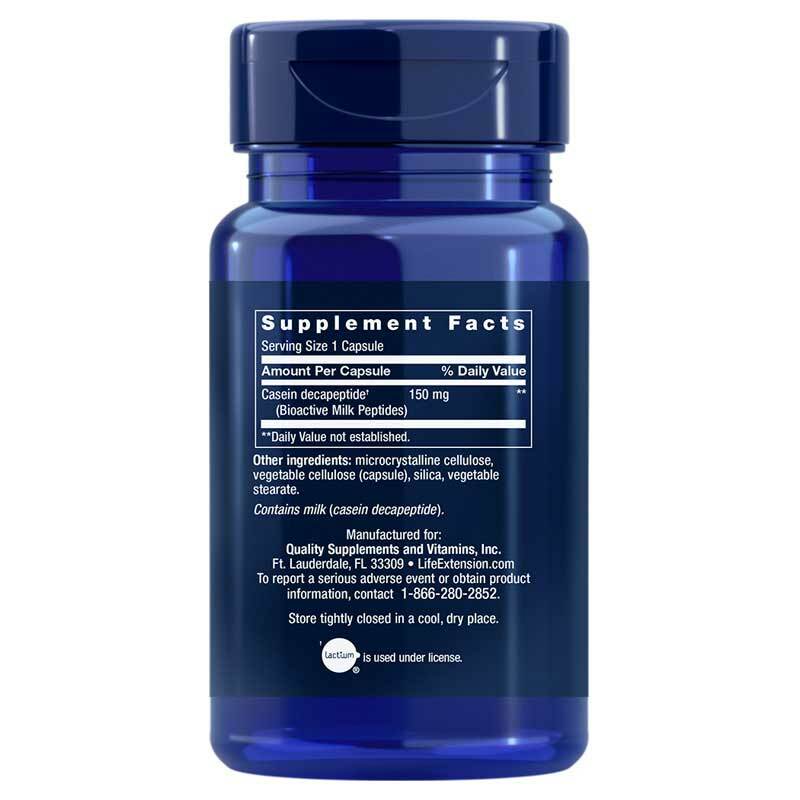 May be taken during daytime for stress or before bed to help with sleep. I read about this product in a magazine - the article talked about how European studies showed it to be very helpful. They were absolutely right - I love this product and the way it helps me sleep better.